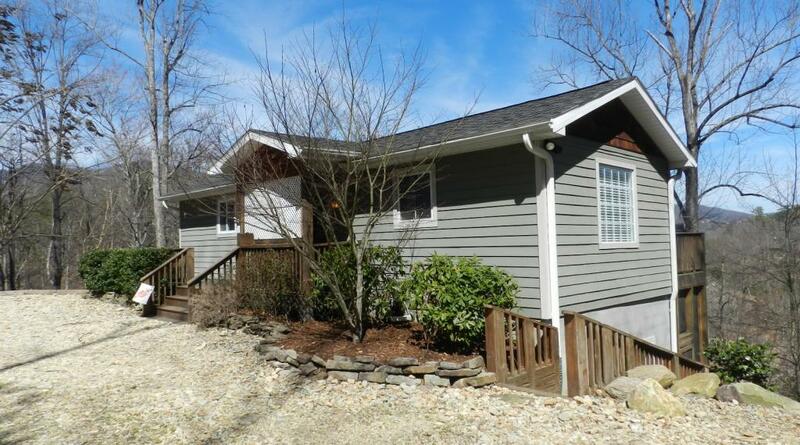 Overlook Cottage sits high on a ridge overlooking the pristine waters of Lake Lure and the surrounding mountains. 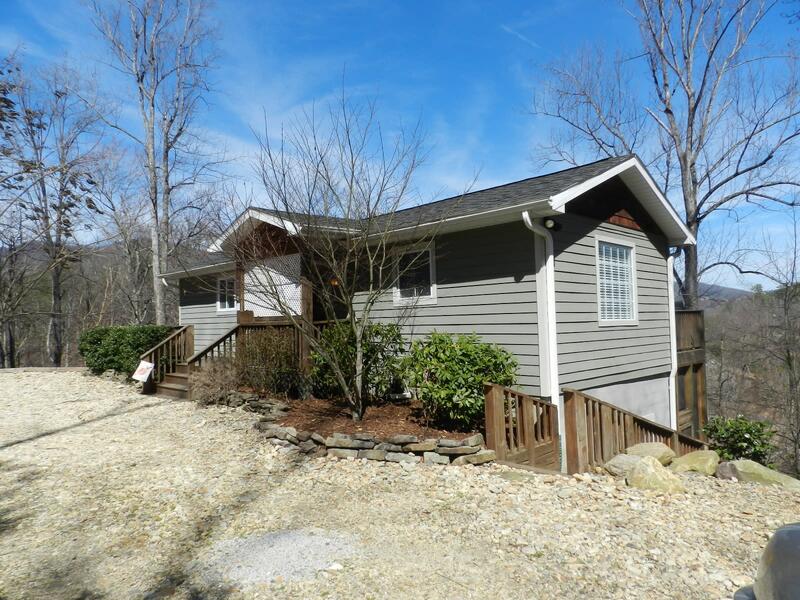 With gorgeous views and a convenient location only 2 miles from the Lake Lure Marina and Beach and 3-1/2 miles from Chimney Rock State Park, the cottage is the perfect spot for a mountain lake vacation. Three gentle steps lead from the parking area to the first floor of the cottage. The open plan living area and eat-in kitchen have vaulted ceilings and exposed beams. Also on the main floor are two bedrooms, each with a queen bed and ceiling fan, a full bathroom with a walk-in shower and the laundry area. Sliding glass doors lead from the living area to the large deck furnished for dining and socializing and with those gorgeous lake and mountain views everyone is looking for in Lake Lure. A metal spiral staircase in the living area leads down to the spacious master suite. The romantic master suite has vaulted ceilings, a luxurious king size bed, a charming electric fireplace for ambiance, a private sitting area and a full bath with a tub/shower combination. French doors lead from the sitting area to the lower deck where guests can enjoy morning coffee while watching the sun rise over the lake. Overlook Cottage is perfect for a romantic getaway for two, a small family desiring privacy, or 2 or 3 couples vacationing together.